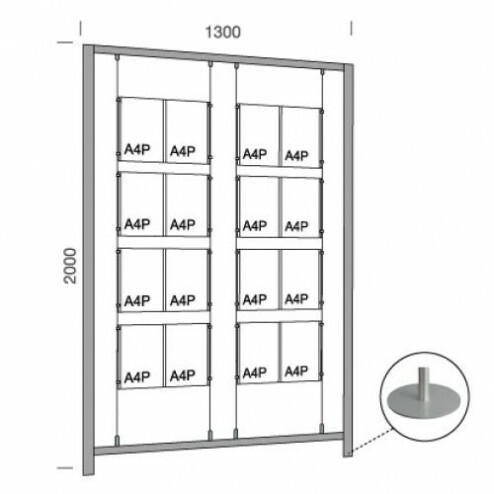 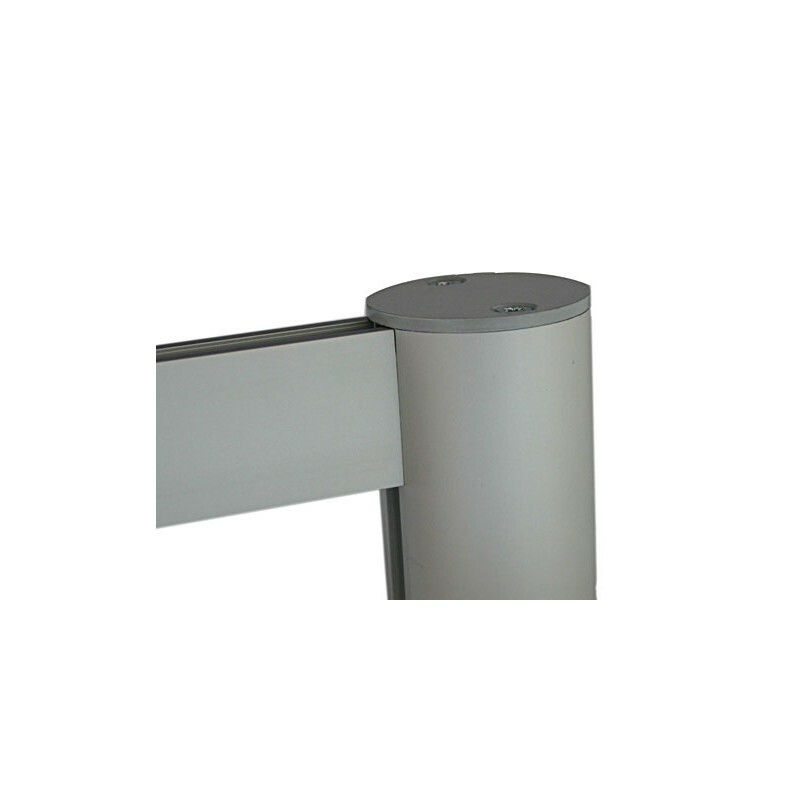 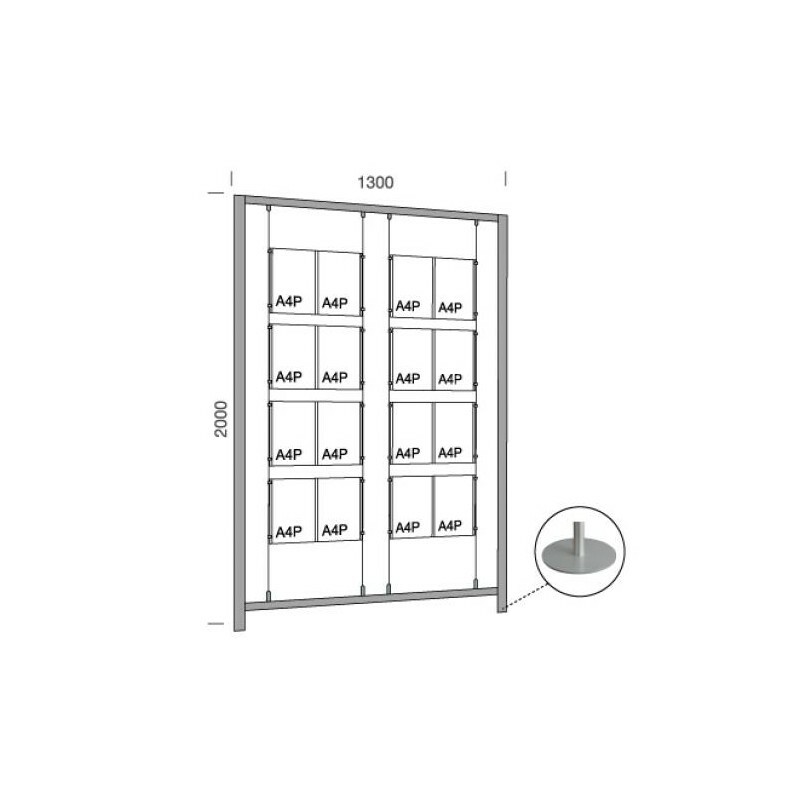 This point of sale stand is a double-sided poster display frame with 16 A4 size portrait pockets. 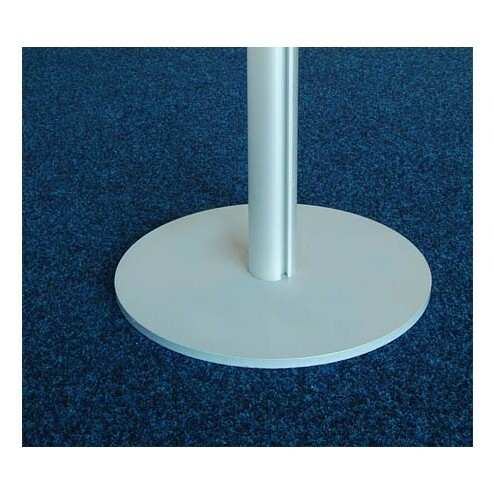 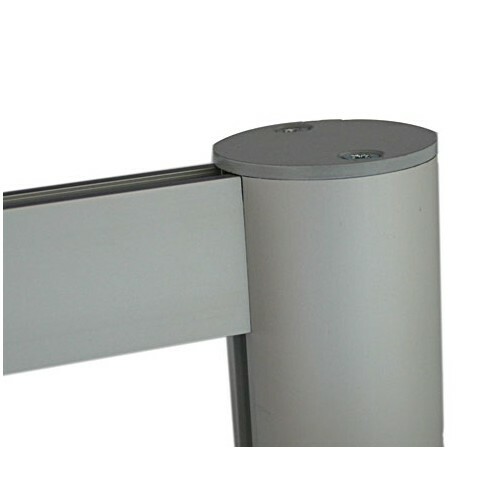 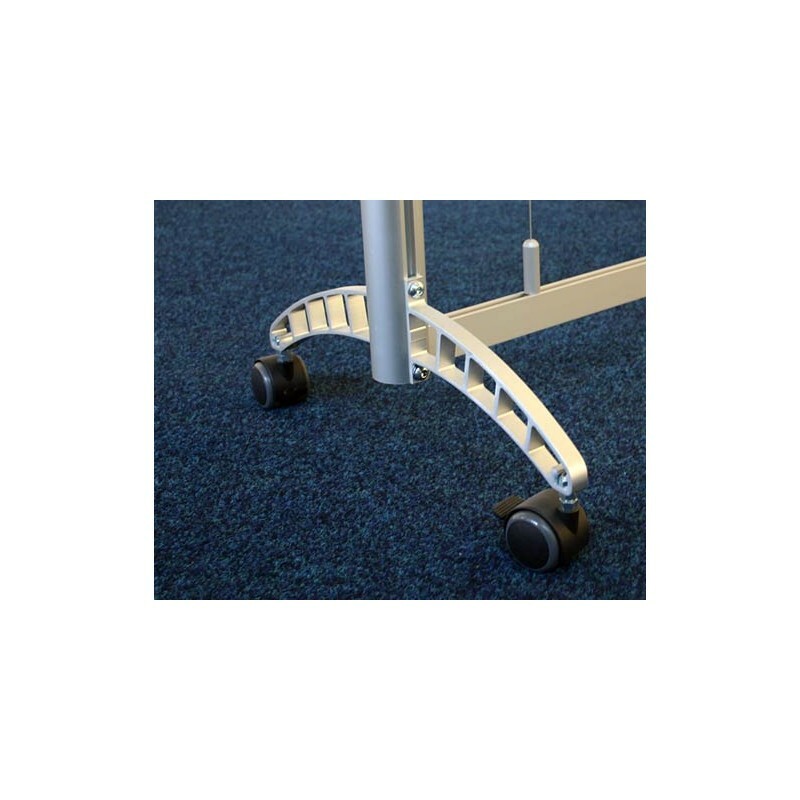 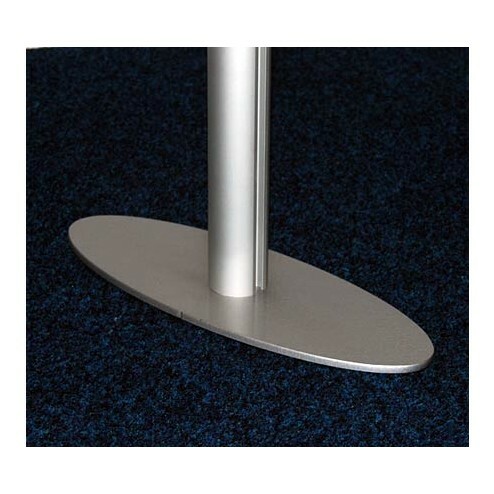 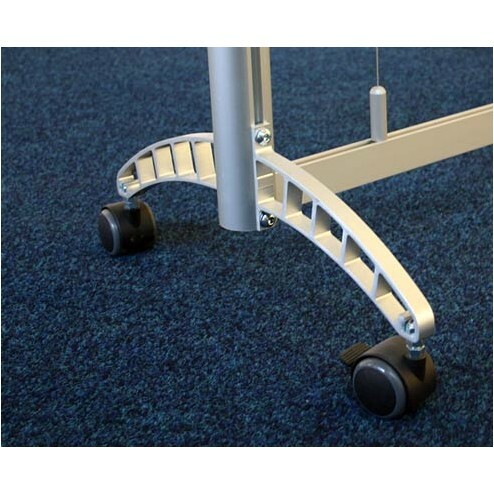 The movable stand comes with 2 pairs of feet to choose from for an adaptive display setting. 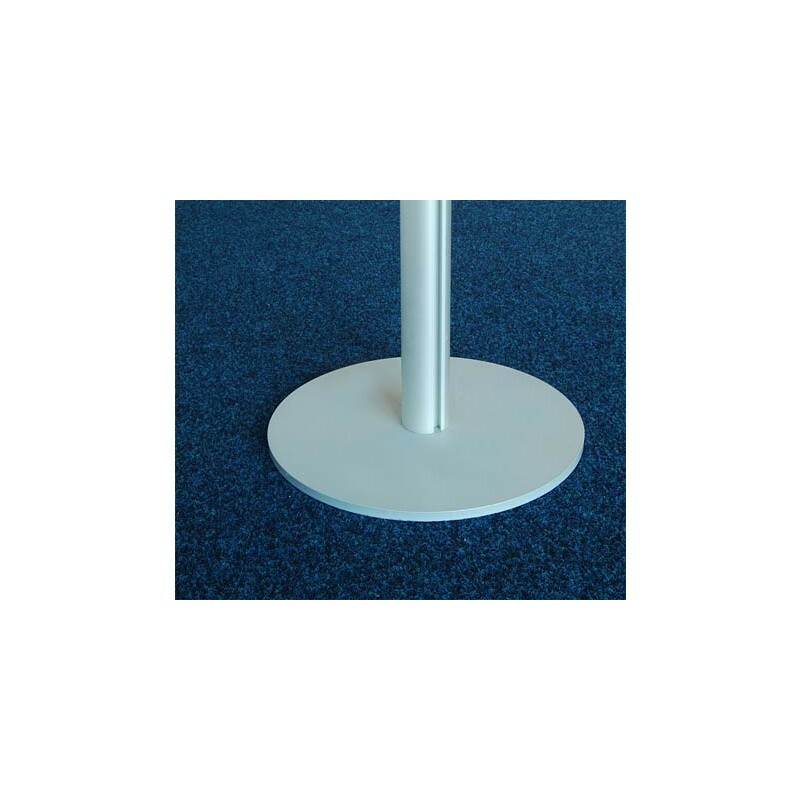 This aluminium stand with satin anodised finish holds 16 easy access pockets to display and change the graphics without any hassle. 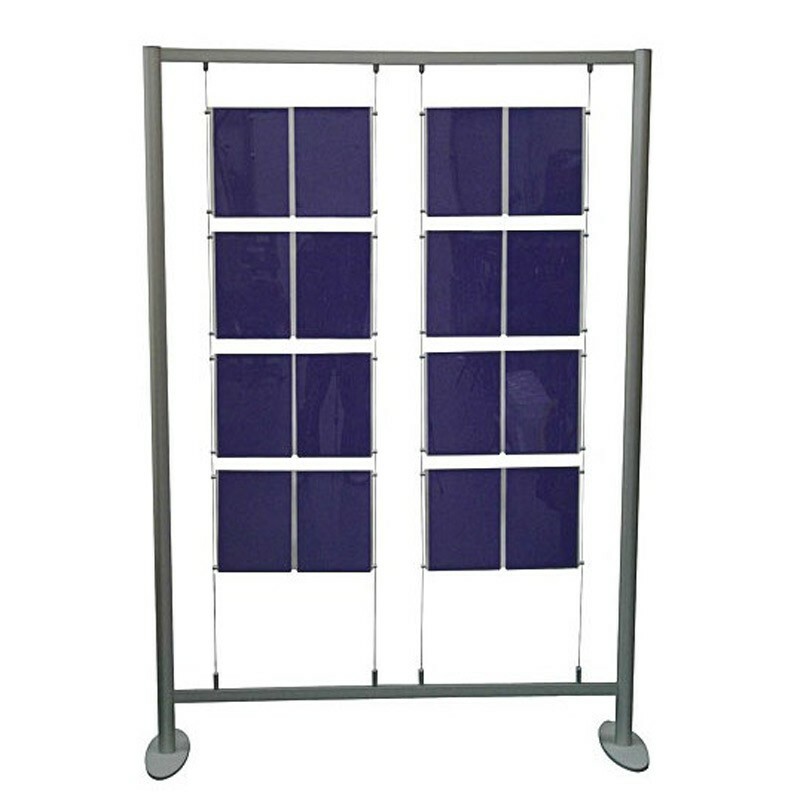 The display frames contain assembling instructions along with all the required tools to fix the cables and panels. 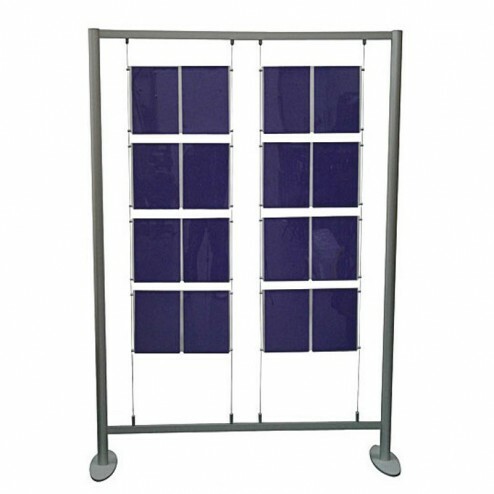 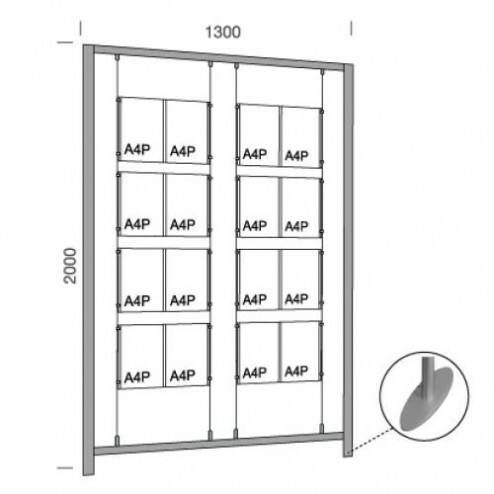 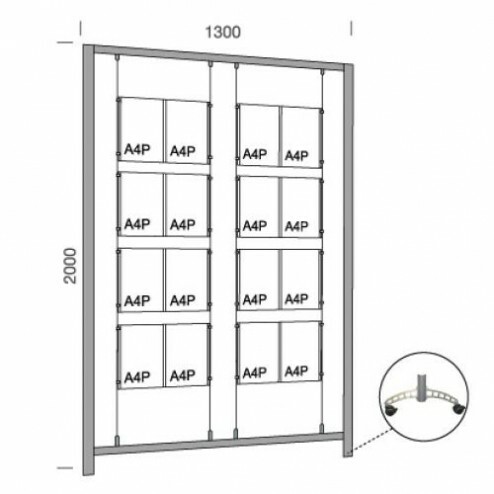 The double portrait panel can be used efficiently to display multiple product features, brochures, leaflets, coupons, product categories, rate list or graphics. 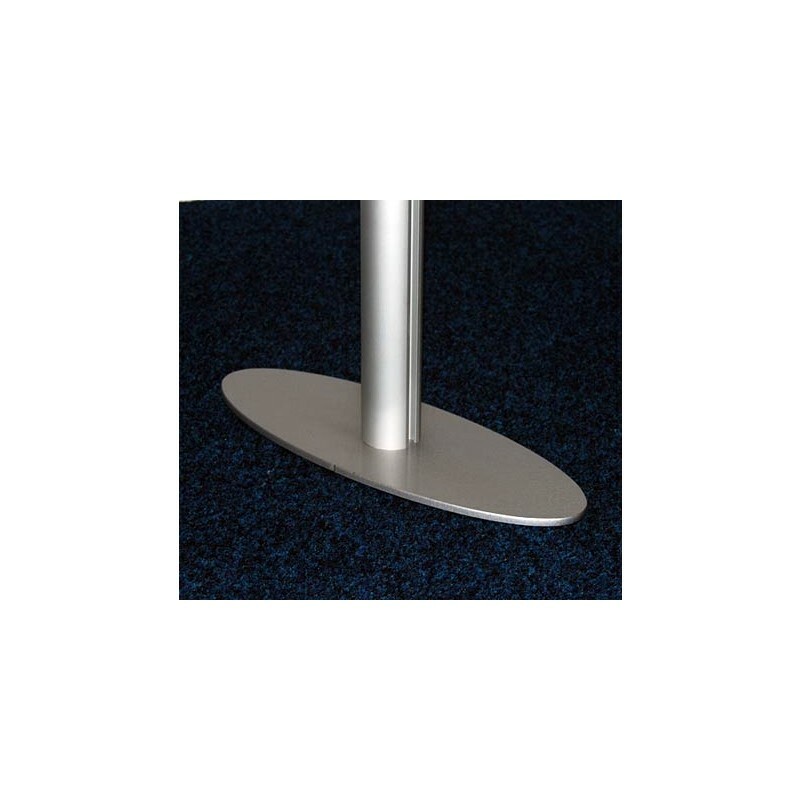 This poster display stand is an ideal promotional tool for beauty salons, payment counters, retail stores, opticians, hotel receptions, showrooms and trade shows.